Local art galleries, like Twist Gallery, are a significant part of Toronto’s art and design culture. Such institutions support local artists’ passions and assist them by providing additional exposure and opportunities. Toronto is developing as a city, and there are more and more local art galleries and ‘artsy’ spaces in Toronto. Local art galleries continue to open up in various neighbourhoods, graffiti is adding colour to the city, coffee shops and restaurants feature local artists’ paintings on their walls, and craft shows are hosted almost every weekend! Supporting the artistic and cultural sprawl is becoming the norm of the city, and it creates a new sense of community and cultural development. This artistic switch changes the way we as a society interact with one another, and with the city. Museums and galleries are a communication medium, projecting knowledge and different perspectives upon visitors through artwork and installations. The larger institutions, funded by the government, are infamous for their well known art pieces and exhibits. Although supported by many, these galleries do not allow exposure on a local scale. Unfortunately, sometimes larger institutions may also have an unapproachable look or reputation, discouraging some individuals or groups to explore the space. Although such places are a great way to spend an afternoon, they are often filled with regular membership visitors and class field trips. Twist Gallery’s role is the community is to bring all local artists and community members together in a completely welcoming, relaxed, social environment. This type of social setting allows anyone and everyone to simply walk in and admire art! Showcasing only local and Canadian artists, of all levels, the gallery blurs the lines between emerging and established artists. An opening reception is organized at the beginning of each month to start off each new show, this type of event allows visitors to mingle with one another and meet the artists behind the works featured that month! Twist Gallery often encourages art students to feature their projects in group exhibits and share their talents, and works closely with various art collectives, always searching for new talent to expose to the constantly changing Toronto art scene. 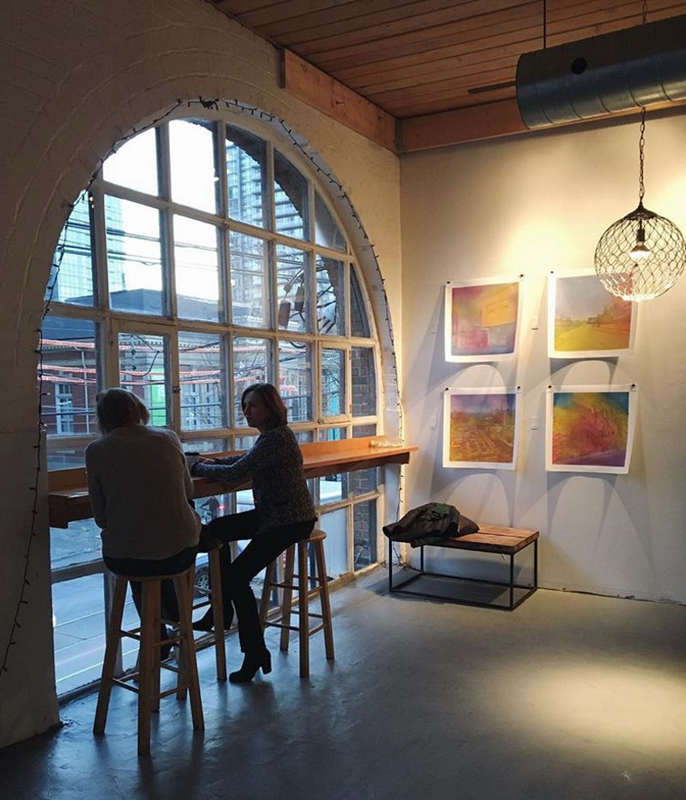 In addition to showcasing local art to the public throughout the week, Twist Gallery prides itself in organizing various community engaging events, such as the annual Holiday Market, and existing as a charming event venue, perfect for wedding receptions or corporate events! Events such as these further provide the featured artists with additional exposure to professionals and various community members. Toronto’s Art and Design District would not exist without the many local art galleries and shops supported by the community. 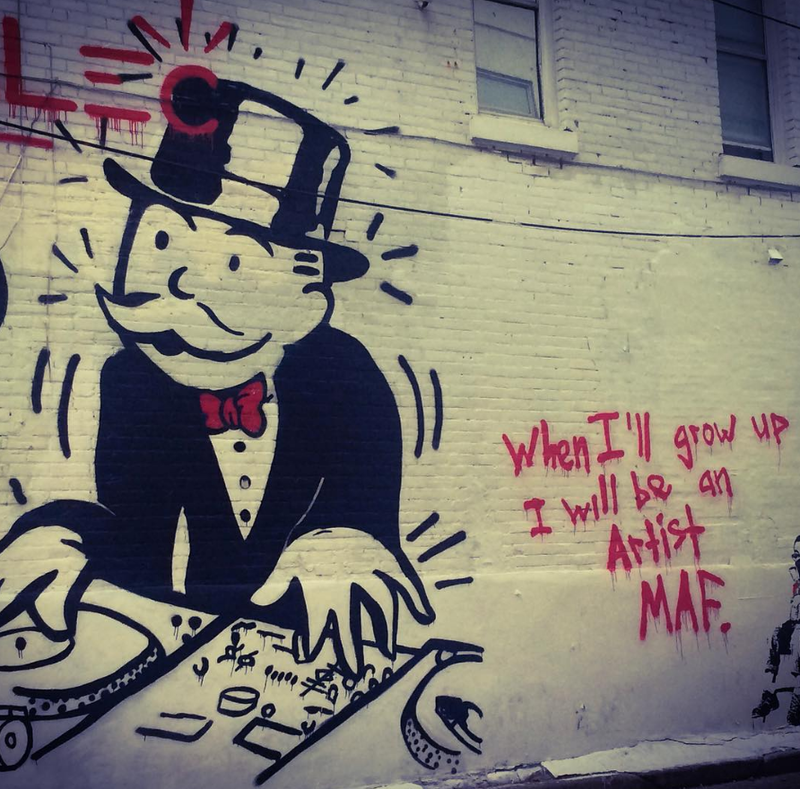 As Toronto develops further, as a city and cultural hub, we encourage everyone to continue to explore these spaces and support our local artists.